There are certain expectations when you grow up the oldest girl in a family of eleven. I'd always made a real effort to meet those demands and more. After all, I couldn't ask for better parents than Ruth and Ed Thompson. They didn't have a lot of money, but they made up for it in love and support. So, I was happy to do what I could to make their lives a little easier. Which meant, I didn't go out partying with my friends, I made good grades and graduated at the top of my class. I would run my younger brothers and sisters around and do errands for Mom and Dad. In other words, I never went through a rebellious phase, and I always tried to behave in a logical and rational manner. That is, until yesterday, when I decided to throw caution to the wind, for once, and act impulsively. But now that I've awakened next to a dead body as the chill of spring rain seeps into my flesh, I am questioning every decision I've made since the full moon. Cal Rivers wants to make a real go in the Ozarks shifter community, but most folks are deeply suspicious of the werewolves—with one exception. The beautiful doe shifter Dakota Thompson. Cal finds himself drawn to the gorgeous and smart Dakota. In a mate kind of a way. But then he gets into it with Dakota's overprotective ex-boyfriend, which doesn't make him any new friends. 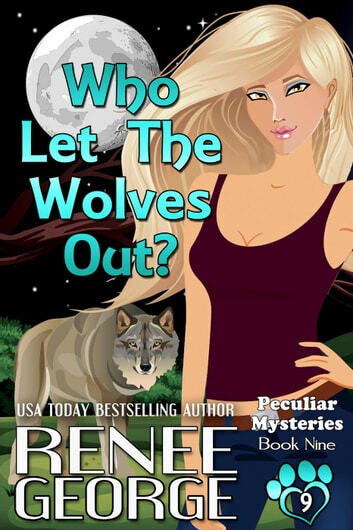 Books related to Who Let The Wolves Out? Who Let The Wolves Out. Dakota, deer shifter, has been the back-up parent to her siblings. She's had little time for relationships and the ones she had haven't done it for her. 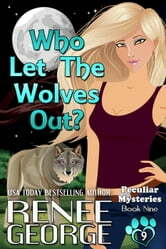 So why is she feeling this way about Cal a wolf shifter? A predator? Not usual or a good idea. Still, she feels things around him she's never felt before. Cal is in a precarious position. The town of Peculiar is a shifter town. Still, they aren't crazy about the pack of wolves who showed up for their Doctor's (the only wolf in town) wedding. There is a real pull toward sweet Dakota, yet, will being with him put her in danger? Will the town's actions or maybe even some of the residents put her in danger? The mystery is filled with probable and "no way" suspects. Will they find the real killer before anyone else dies? Will Dakota and her family find themselves in the crosshairs of the killer? When murder and more threaten the town Cal determines to protect them along with her. Will she find a way out of her family obligations to live her own life--or even live with the danger around. Another wonderful read by the author and fun and fear in Peculiar. Love this town. The characters are so great to read about really helps keep these stories going. This book is about one of the adult children from the deer family Thompson. Dakota is the eldest in the family of nine and she helps out at home and the family car repair business. Readers of this collection know that murder is always on the horizon in this town but never know why it happens so often. Call is one of Chavvah's wolves and is currently living outside of town on probation. His character is swoon worthy by most standards. He is a protector, fighter, and lover. This book made me laugh, smile and get angry at the antics of some of these character which is a good sign of great writing. Each book can be read individually but I recommend reading the series in order to get a better understanding of all characters and the town. Peculiar, Missouri Dakota Thompson is a dear shifter. The oldest of 9 kids and a good girl but once she meets bad boy Cal Rivers she is finding his irresistible and that just can't work because he is a werewolf. Prey animals don't fall for predator!!?? Do they? Nothing is ever easy in Peculiar. Towns people don't trust Cal's people. There is a murder to all with lots of twist and turns. Great characters, small town drama, mystery, betrayal, and so much more it made this story impossible to put down! Once you start reading the characters will pull you into the story just like me and I didn't want to leave lol don't miss this super fun and not mystery Voluntarily reviewed a copy and I honestly loved it.